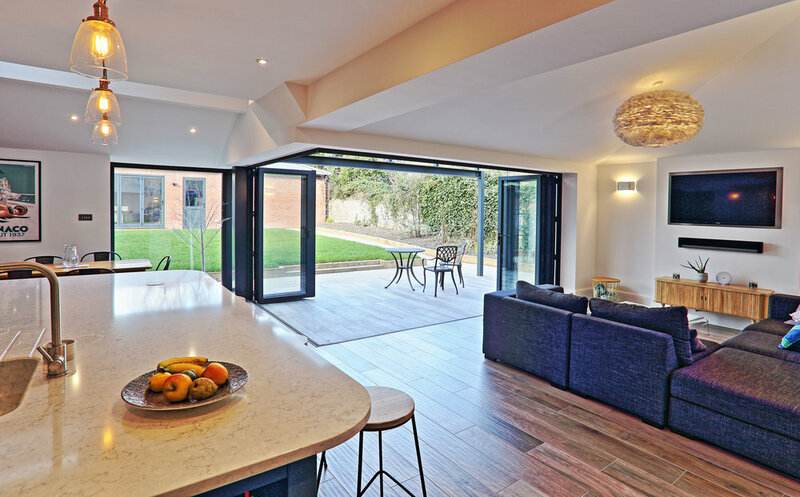 This project features a kitchen/living space with two sets of bi-folds that meet at an open internal corner. The external patio is covered with a glazed roof to complete the room. 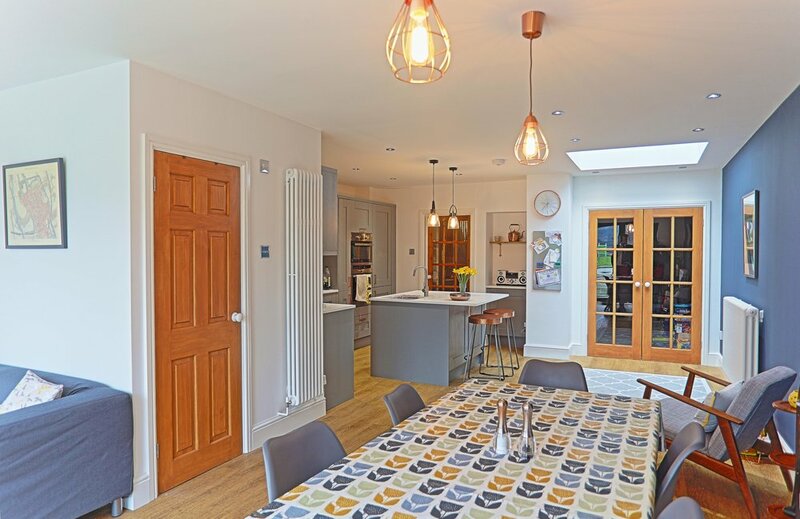 Images of a recently refurbished and extended terraced house in Canton, Cardiff. Client, Contractor (Wayne Moore Construction) and Structural Engineers (Vale Consultancy) all contributing to a stress free build. Recently completed extension and refurbishment of a family home near Victoria Park, Cardiff. Glad to hear that our clients are delighted with the result. Together with Wayne Moore Construction and Vale Consultancy (structural design); we are delighted to be recognised by Building Control at the Vale of Glamorgan Council with a Building Excellence Award for 2017. Further images of this project are displayed in our portfolio section.